Talk with an Attorney First! This brings up an important point about Mr. Grayson’s approach. Mr. Grayson believes that it is especially important for the client to know everything about the case that he knows. That is why his clients are always so well-informed about their case. Mr. Grayson does not hide the ball. You and your family will feel comfortable with Mr. Grayson, he is open and upfront and does not speak in “legalese.” He talks to his clients and their family members in the language spoken by everyday people from the community having a normal conversation. It is important that lawyers have time for their clients and their families. Mr. Grayson can tell you from personal experience that public defenders have huge caseloads and will not devote the time and attention necessary to keep you and your family informed and happy regarding the progress of your case. Mr. Grayson takes the time to get to know his clients and especially to learn their side of the story, their version of what happened. He does not treat his clients like just another case number, which allows him to present you as a real person, a human being. Mr. Grayson is extremely thorough (“a little too thorough,” one antsy judge commented regarding a case on which he’d just gotten a not-guilty verdict), and when his team handles your case, no stone is left unturned. That’s why his office is so successful in the courtroom. Mr. Grayson works with a team of very experienced, sharp, street-smart investigators who collectively have over 50 years of experience working cases initially as police officers and now in private practice doing defense investigation. Mr. Grayson is always “nattily dressed,” as one fellow female lawyer has described him. He feels it is important to present a classy, professional image which projects confidence. He realizes that you never get a second chance to make a first impression. Mr. Grayson fears no one in the courtroom or courthouse, and this makes all the difference in achieving a successful result. He and his team have won most of the cases they have taken to trial and have gotten many cases dismissed at the preliminary hearing and even on the day of trial. Mr. Grayson strongly believes that no one should stand accused by the government without the assistance of an exceptionally competent and caring lawyer. Not long ago in Inglewood, a juror who sat on one of Mr. Grayson’s trials came up to him after the case was over and stated, “if I ever get in trouble, I’m hiring you!” Like this juror, if ever you’re caught up or facing a jam, you need Tracy Grayson to aggressively and loyally defend you and your interests. 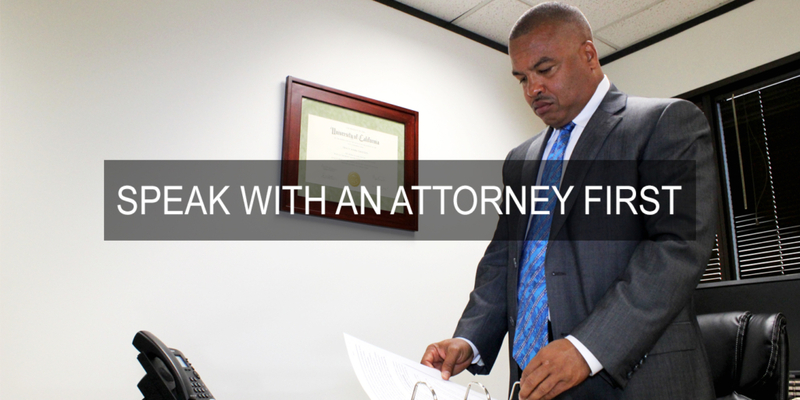 DO NOT DISCUSS YOUR CASE WITH ANYONE BEFORE CALLING AN ATTORNEY!